Classmates held a balloon release for 8-year-old Kelsey Nalepa. 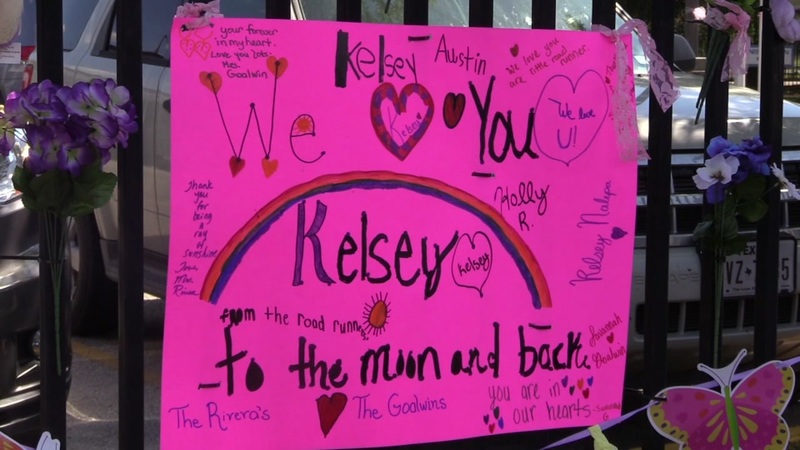 HOUSTON, Texas (KTRK) -- Students at Ross Elementary School held a balloon release on Friday morning to honor Kelsey Nalepa, the 8-year-old killed by an alleged drunk driver earlier this month. After gathering in the gym, the large group of students moved outdoors and released dozens of pink balloons in honor of their fallen friend. Nalepa was in the back seat of the family's 2009 Ford Expedition when it was rear-ended on April 6 on FM 518. She was taken off life support two days later. The force of the impact caused the driver's seat to fail, her family attorney said. An 8-year-old girl has died after a car accident in League City. Nalepa's mother and father are suing Erika Diebel, who was arrested last week after blood alcohol tests measured her at .249 at the time of the wreck - more than three times the legal limit, according to investigators. "It's our feeling that child safety is everybody's responsibility. Our children (are) depending upon us," the family's attorney said.